Kallea is a beauty and holistic therapy business based in Chertsey, Surrey run by Harriet Tipping. Harriet offers a range of beauty, body, massage and holistic therapy treatments. Her aim is to offer a high quality service to each individual client in a calming and tranquil environment. The therapy room is a dedicated space, based in her home, which creates an inviting sanctuary for clients to relax and unwind from the stresses of modern life. The range of treatments offered aim to pamper but also promote and restore wellbeing. Harriet studied for her Nutritional Therapy Practitioners Diploma at colleges based in Dorking and Leatherhead and completed this in 2011. After this she then went on to complete her Beauty Therapy Level 2 Diplomas at college in Windsor, completing these in 2012. Since then Harriet has worked as a therapist in Spas, as well as setting up her own therapy business based from home. Harriet has continued building her skills within the beauty and holistic industry, gaining additional diplomas in: body massage, reflexology, Shellac gel nails, OPI GEL COLOR nails, Hopi ear candles, hot stone massage, hot stone reflexology, Indian head massage and Thai compress massage. 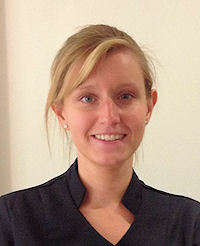 Harriet is fully insured to practise as a beauty and holistic therapist. Harriet is also a full Member of the Guild of Beauty Therapists. Kallea is based in Chertsey, Surrey (KT16) – but is also easily accessible by many surrounding towns and villages, such as: Addlestone, Ottershaw, Weybridge, Egham, Virginia Water, Windlesham, Chobham, Woking, Horsell, Byfleet, West Byfleet, New Haw, Rowtown, Walton-on-Thames, Shepperton, Staines and Ascot. Kallea is derived from the Greek word meaning beauty and goodness. Harriet felt this best reflects the message she is creating and carrying out in all her therapy treatments.